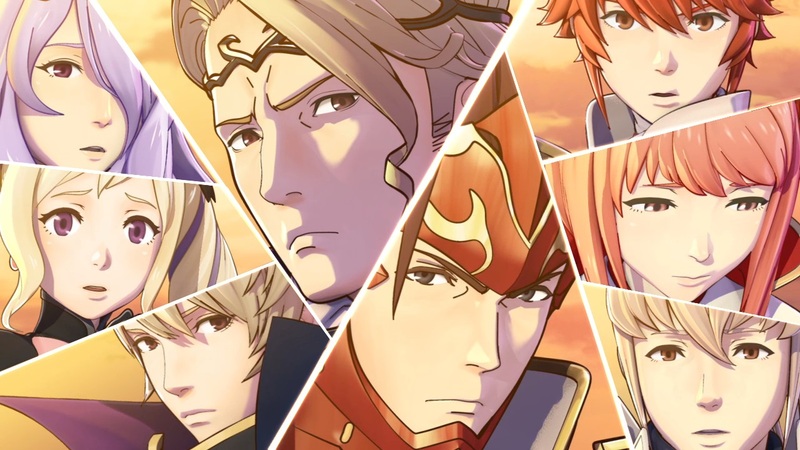 Last week’s Nintendo Direct was full of announcements and surprises, but none was more interesting to me than the information revealed about the upcoming Fire Emblem if. If there was one thing I found somewhat disappointing about the trailer it was that none of the in-game text or dialog was translated. 1:25 – Kamui – I was born in Hoshido, brought up in Nohr. 1:30 – Max – Impressive, Kamui. You’ve become strong. 1:35 – Riyoma – I’m Riyoma. I’m your older brother. Scene with Riyoma in a field looking at you 1:42 – Riyoma – This way! 1:45 – Girl – Brother! Scene with Max in a field looking at you 1:46 – Max – Come back! 1:48 – Girl – Brother! 1:53 – Kamui – Yeah…I…The Hoshido side’s fight. I’ve decided to go with them. 1:54 – Kamui – Nevertheless I…I’ll arrive at Nohrs Kingdom. Scene with Max and his sword 2:14 – Max – Conform to us! 2:35 – Kamui – Will you all also let me fight? 2:36 – Kazahana – Naturally! Ms. Sakura is most trustworthy and it’s only natural that she babysit you. 2:39 – Garon – This is what I’m expecting, Kamui. 2:46 – Tsubaki – Yep. That’s how it is. However, Kazahana said that she is the most trustworthy, I have a little doubt with that remark. 2:51 – Saizou – Messenger, Messenger! 2:52 – Orochi – That’s unfortunate, Sakura…! 2:53 – Sakura – Saizou, Orochi…!? What’s wrong? So many wounds…! 2:56 – Orochi – They…They’re on their way to the national border…Riyoma and Takumi are…! 2:58 – Kamui – Nosferatu!? 3:03 – Kamui – No way, Nosferatu is even in a place like this…! And in case you weren’t satisfied by this, here is another video that has translated and subtitled the Japanese Direct feed. What do you guys think? Does actually knowing what the characters are thinking get you more pumped for this game? I know I sure am! Either way, let us know in the comments.